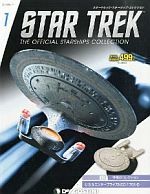 "Star Trek" series and related materials are registered trademarks of CBS Studios or Paramount Pictures. No infringement of copyrights is intended. Copyright © 1996-2017 by Ateban.